With the holidays right around the corner, everything from squeeze cheese to Etsy art has had its price slashed in the name of deep discounts and Black Friday sales goals. But not everything is cheap during the Season of Spending – gearheads are often given no new incentives to purchase the cars we want the most. Companies are fine with giving us 20% off the latest smart watch or AAA video game, yet automakers tend to steer clear of the holiday action. Sure, there’s a Season of Thrills December to Remember Please Buy a Lexus for $10 Less Than Usual Sales Event at every dealership in sight, but those rarely apply to the kind of cars you’d find on a bedroom poster. It’s a shame, really, because there are many performance cars that more people would buy if only they were a little cheaper. Some are expensive because of their brand, others are meant to give the jet-set elite something to brag about. We all wish a Bugatti Chiron was as cheap as a Toyota Camry, but there are also plenty of reasonably priced examples that would make a lot more sense at a slightly lower price. The British carmaker Ariel is known and loved for their impressive purpose-built track weapon, the Atom. It follows the tried-and-true recipe of “simplify and add lightness,” and that’s part of the reason it’s still found on bedroom posters nearly 20 years after its debut. When Ariel announced they would be building an off-road buggy in the spirit of the Atom, we all wondered if that same approach would play out just as well on dirt. 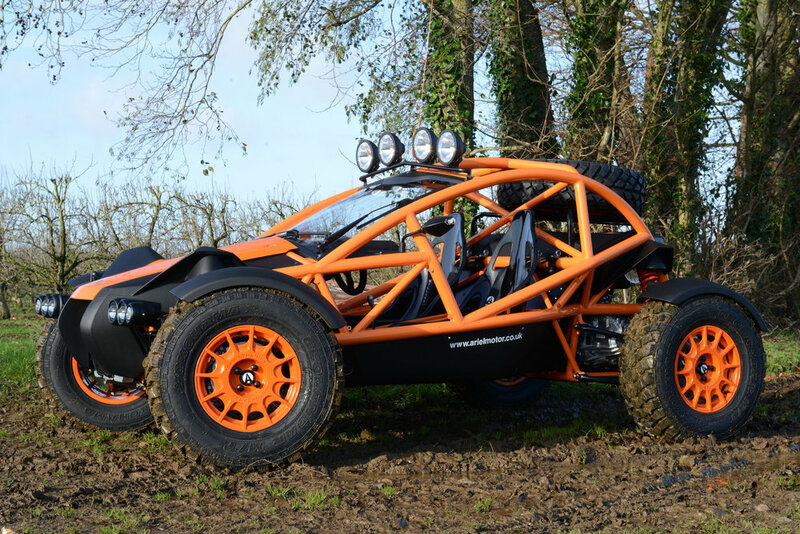 With a 235-horsepower inline four from a Honda Accord and a curb weight of just 1,477 pounds, the Ariel Nomad can sprint to 60 MPH in just 3.4 seconds on its way to a top speed of over 120 miles per hour. But numbers don’t convey the Nomad’s biggest strength: with its signature tubular steel exoskeleton and double-wishbone suspension front and rear, this beast can go anywhere you want it to go, and it will get there in a hurry. Of course, all that fun comes at a price. The fully-spec’d Ariel Nomad Tactical with its adjustable dampers, four-piston calipers, 290mm brakes, rally spec wheels, and mud tires weighs in at nearly $100,000. That’s more than ten times the price of a modified, trail-capable Jeep from Craigslist; over five times the price of a wildly capable Yamaha YXZ1000R side-by-side; and about six times more than the neo-retro Mahindra Roxor. Holiday Special: Slash the Nomad’s $80,000 base price down to about $50,000 and there would be a line out the door. But that’s a big part of it: Ariel is a low-volume builder, they want to keep it that way, and they’re probably wise for doing so. By comparison, these next few automakers have no excuse. Credit to Bimmerpost user serrated. Famously harped on by the likes of Jeremy Clarkson and Doug DeMuro, much of the flak the BMW M4 GTS catches is because it costs $135,000 – roughly double the price of a standard M4. It does have that famed water injection system which helps the GTS make about 70 more horsepower (493) and 40 additional torques (443 lb-ft) than a base-model M4. It has additional weight savings, parts swapping, and materials switching that help it outrun a regular M4 around the Nürburgring, a place most of us have only visited in videogames. Then there’s the blingy gold wheels, ultra-low carbon fiber front spoiler, and function-over-form interior, all of which would be highly problematic in the event of a pothole. So it’s not an all-out track toy, it’s not a daily driver, and it’s certainly not cheap. Seems like the prime candidate for the Spirit of Giving. Holiday Special: A proper holiday sale would put this piece of German overengineering in the hands of buyers with a $100,000 budget and an eye for the unconventional. Even then you’d be tempted by the Porsche 911 (~$91,000), Lotus Evora (~$95,000), and Audi RS5 (~$96,000) for a mix of on-track fun and daily usability. Then again, the M4 GTS is about as much of a daily driver as, I don’t know, a BAC Mono. The result of a Formula 1 car and a jet fighter having a lovechild, the BAC Mono delivers all the performance one would expect from an out-and-out track weapon. If you want to outpace Ferraris, Lamborghinis, Ariels, ZR1s, and whatever else might show up at your local track, the Mono is the car for you. If you have $175,000 to spare, that is. And don’t get me started on the $800,000 Marine Edition that includes a fancy crane, an air-conditioned storage container, and some anti-corrosive coating so it can be transported safely onboard a luxury yacht. Oh please. This engineering masterpiece epitomizes the “simplify and add lightness” mantra we talked about earlier. A 285-horsepower Cosworth engine is backed by a 6-speed sequential gearbox with straight-cut gears, and the largely carbon fiber body helps it weigh in at just 1323 pounds. That gives the Mono a power to weight ratio in line with production car legends, and it means one of the biggest impacts to your lap times will be what you ate for lunch. Holiday Special: Most of us could never get all ten tenths out of a Mono regardless of where, when, and how we drove it. 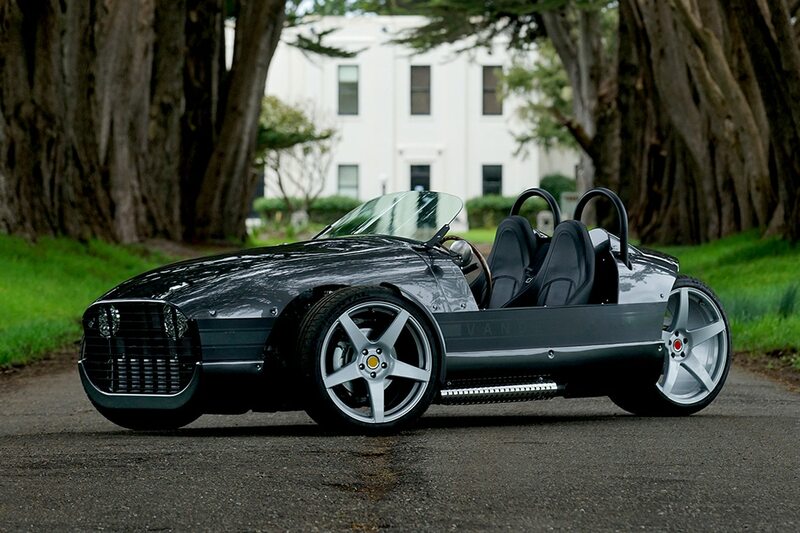 The vast majority of enthusiasts would be equally entertained behind the wheel of a $90,000 Ariel Atom 3S, a $77,000 Vuhl 05, or even a $29,000 Vanderhall Venice. No sale short of $75,000 off would change many minds on that. You could buy a fleet of Venices, rent a track for the weekend, invite your friends, cater unlimited food and drinks, and buy them all Christmas presents, all without coming close to the price of a BAC Mono. Send me an invite when you do. The 2019 2005 Lotus Elise. Is the BAC Mono too track-focused for you? Your wife says every car must have a trunk, regardless of how small it is? 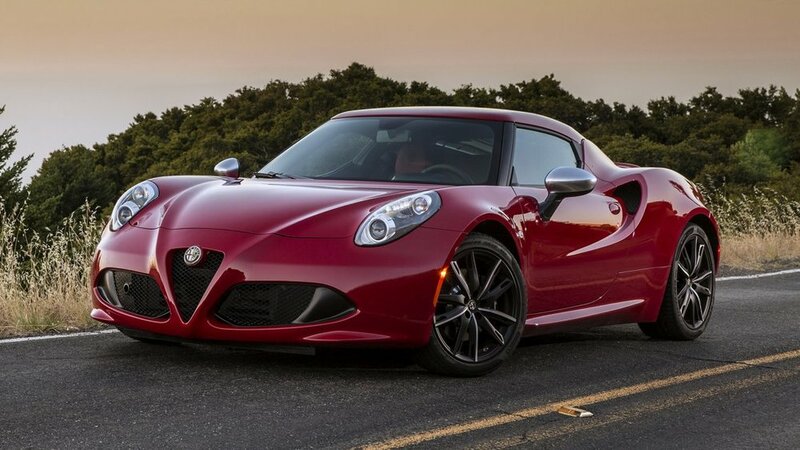 Look no further than the Alfa Romeo 4C. The base price of the Elise’s exotic cousin has been rising steadily since it debuted back in 2013. Starting at nearly $66,000 for 2019, the carbon fiber-tubbed, automatic only, no power steering, gloveboxless Alfa 4C sounds pretty expensive until you realize it has very little competition in the U.S.
We haven’t had the Elise on our shores for the better part of a decade. What’s more, the type of gearhead who would modify a used Elise to outperform a 4C is hardly the same person who would enjoy setting foot in an Alfa Romeo dealership, amid endless rows of Stelvios and Giulias, to find the perfect Alfa Romeo branded golf balls and cufflinks to gift themselves for Christmas. That didn’t stop Automobile Magazine from boldly asserting that the Alfa 4C is better than the old Lotus Elise. While I can’t say I would take a 4C over a Lotus if given the choice, a few holiday incentives might put the Alfa Romeo 4C more in line with its Craigslist competition. Holiday Special: Mark the 4C down to its 2018 MSRP of $55,900 for starters, then knock off another 10 grand to show some true Christmas spirit. I bet they’d be able sell more than 300 of them next year if they did that. In the world of almost-justifiable cars, the Acura NSX reigns supreme. Remember all the hype about the new NSX? How it was going to be the reincarnation of the 90s classic, a venerated legend, and a modern classic? On paper, it is. It’s a gorgeous coupé with a 573-horsepower 3.5-liter twin-turbo mid-mounted V6 backed by three electric motors and a 9-speed dual-clutch gearbox, all carried by an aluminum space frame tucked under an ultramodern body. They’re even giving it a substantial refresh for 2019. What’s not to love? But unless you live in Los Angeles, Houston, or Miami, chances are it’s been a while since you saw an NSX in traffic. You’re not alone; Acura sold just 269 examples of the NSX in North America in 2016 and have managed to sell just 637 ever since. There’s nothing to suggest that Acura is taking the Ariel/BAC route of keeping production numbers intentionally low, and by most accounts it’s plenty of fun to drive, so I’m tempted to conclude that some of those tiny sales numbers have to do with the price. By the time you pay taxes and fees, you might as well get a 911 Turbo, a McLaren 570S, or an Audi R8 V10 Convertible. Instead you’re getting an Acura that isn’t that much faster in non-professional hands. Knock a few dollars off that asking price in the name of the holidays, say $30,000, and I bet prospective buyers would show up in droves. As the 370Z enters its record-setting 200th year of production, most automotive enthusiasts are wondering why Nissan hasn't replaced it yet. A completely different and utterly bewildering set of enthusiasts are willing to spend over $30,000 to drive a ten-year-old car designed when the President of the United States was George W. Bush. I bet some of you didn’t even notice that’s a photo of a 2009 370Z, not a 2019. Sure, the 370Z packs a 3.7-liter V6 with 332 horsepower and 270 torques, and the NISMO version bumps those figures to 350 and 276, respectively. But the NISMO tops out at nearly $50,000 – that’ll get you any number of Craigslist specials, like a used GT-R or a few Mustangs in your stable. Not to mention, the 370Z has somehow managed to actually get slower over its production run. 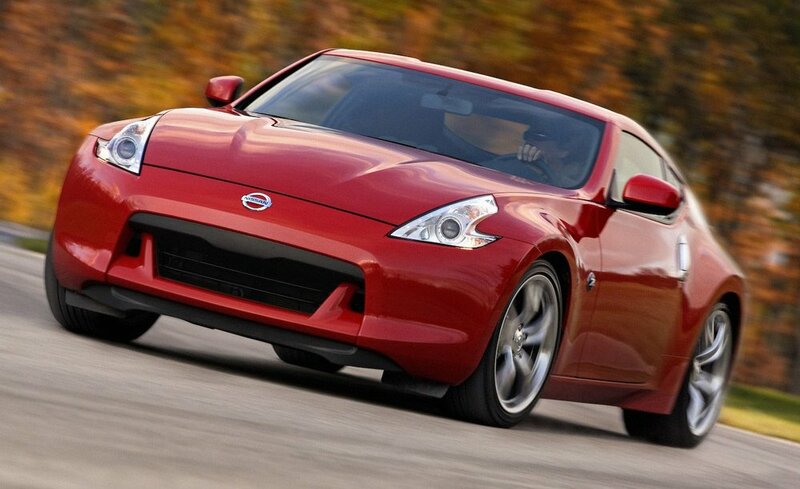 Maybe that’s why the Nissan 370Z’s base MSRP for 2019 is just $60 more than it was in 2009, even though $30,000 in 2009 dollars equals $35,300 today. Kudos to Nissan for not upping the price, but it would still take one heck of a Black Friday sale to convince me to buy a brand-new 370Z off the showroom floor. It drives fine, it handles well, it’s aged gracefully, and the rev-matching manual transmission is as fun today as it was a decade ago. But with so many used examples on the market and a list of equally-priced rivals a mile long, there are very few reasons why anyone should consider buying a new Nissan 370Z ever again. Holiday Special: 50% off. It’s time, Nissan. It’s time. What car would you camp outside the dealership to buy if it went on sale? Let us know in the comments! Have you finally finished that project car you’ve been working on? Find out how to title and register a homemade vehicle. What if a Car Title Has the Wrong Name on It? Have you discovered a mistake or the wrong name on a car title? Learn how and when to correct the names on a car title. Should You Remove Your License Plates When Selling a Car? Are you getting ready to sell your vehicle? Make sure you know whether to remove your license plates when selling a car. If the buyer of your car commits a crime, you could be on the hook for it. You can easily protect yourself with a Release of Liability Form. Do you have incorrect mileage documented for your vehicle? Learn how to correct the mileage on your car title. Damaged Car Title: What Should You Do Now? Do you have a damaged car title? Here are some things you can do to get that corrected. Are you in the market for a new truck? Check out our complete list of the best full-Size pickup trucks of 2019. The future is bright, and these 7 electric semis of tomorrow will be here before you know it. From raging Rams to sliding Supras, these are our picks for the best Superbowl car ads of 2019. This essential list will help you build confidence and value when selling your car. Newer PostWhat is the Show and Display Rule?